Some students may feel nervous, stressed or uneasy when they are asked to join discussions, present their opinions or simply speak in front of other students. Their unwillingness to speak may be related to no particular language competence. It can be caused by a simple fact that some people fear judgement of their peers. In other words, they think too much about what reactions of the others to their ideas or way of speaking might be, they can be afraid to be laughed at or to be misunderstood. In order to create a safe environment that could eliminate or at least decrease stress, we can use a two-step activity that takes about 5-10 minutes. It can be applied either at the beginning of a course or anytime when we feel it could help some students or the whole class in their learning. 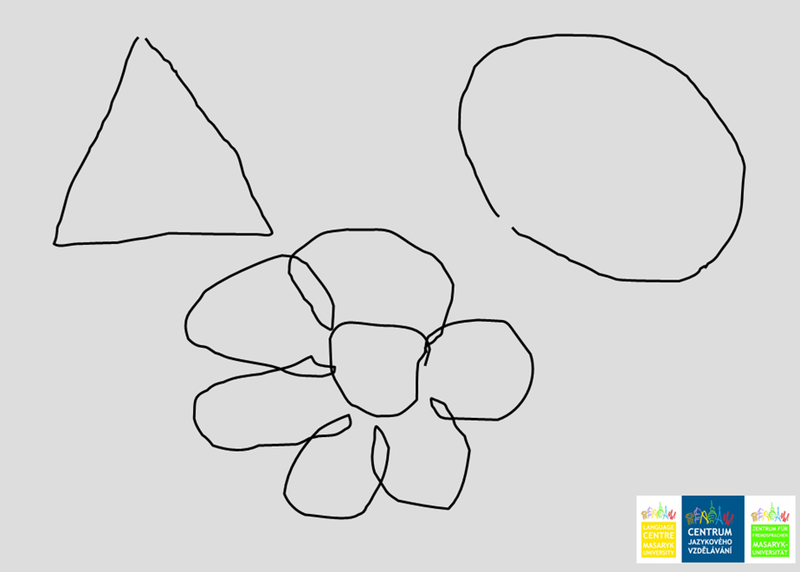 The teacher draws three simple objects, such as a triangle, circle and flower, on the board and gives students one minute to draw those three objects on a sheet of paper. The teacher gives students another minute and asks them to draw a person sitting next to them. (Some may ask “person on which side?” – this is irrelevant, they can draw anybody, including the teacher). (In my experience, the situation has almost always been identical to that in the video, which was the source of inspiration for this activity, of course. To see the full TED Talk by Tim Brawn from the IDEO Company, go to: On creativity and play ). Showing the video before teacher’s final comments helps students see their reactions were “normal”. Students can also get the idea, since the explanation by Tim Brown is clear, entertaining and based on research (which can add credibility to the whole point the teacher is going to make). After the video, the teacher can explain that the same reactions occur in the use of language. It may be suggested that it is important to eliminate or decrease this “fear of judgement of our peers” and that whenever students feel stressed because of this fear, they could think of this “drawing activity” and remember they had some fun. Later, during the course, when a situation related to the “fear of judgement of our peers” occurs, the teacher can remind students of their own experience of this activity, which usually makes them more relaxed.